Your donation makes a difference in the work we do. You can target your giving or you can give to our general fund. Either way, your tax-deductible contribution will help make God's welcome known to our community. As we work toward broadening our welcome, donations help us resource this important ministry. Learn more about our Food Ministry here. 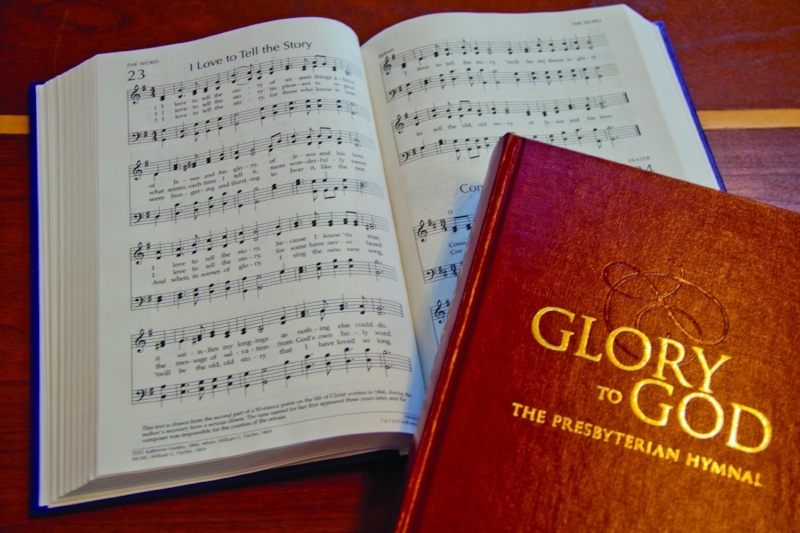 In 2013, the Presbyterian Church (U.S.A.) released its new hymnal: Glory to God. This new worship resource contains the classics we have come to know and love over generations and at the same time it reflects the diversity of our congregation, with its many different musical styles represented, including: traditional, spirituals, folk, gospel, jazz, contemporary, and global music. We hope to purchase 200 copies of this new hymnal and we need your help. Hymnals are $20 each (+$3.00 to cover online donation transaction fees), and may be given in memory or in honor of a loved one. Donate by clicking the purple box at the left. Check out our display during coffee hour. In the meantime, you can see it online: http://hymnary.org/hymnal/GG2013. Through our Arts Under the Spire concerts, we open our sanctuary so our neighbors can enjoy live music. Learn more about Arts Under the Spire here.